The Q-Trem is a versatile and compact Tremolo pedal that features four waveshapes: sine, square, sawtooth and reversed sawtooth. 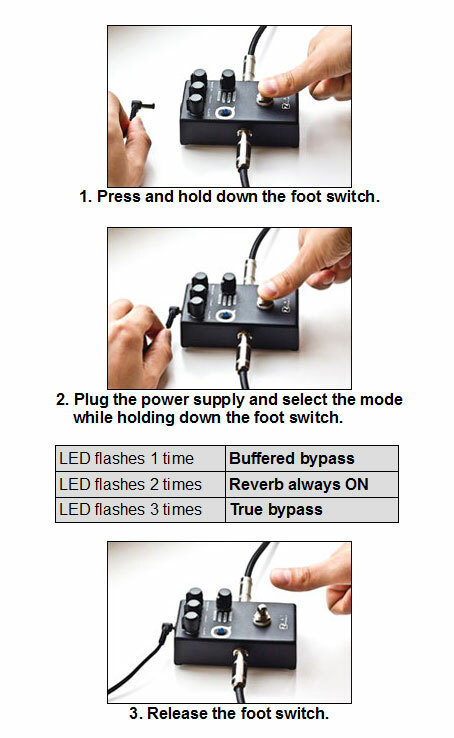 The pedal features also an independent Reverb effect that can be used with or without Tremolo effect. 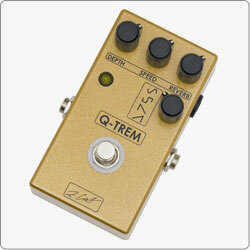 The new version of Q-Trem pedal has a silent soft-touch foot switch and three different bypass modes: 1. Buffered bypass, 2. Reverb always ON and 3. True bypass mode.